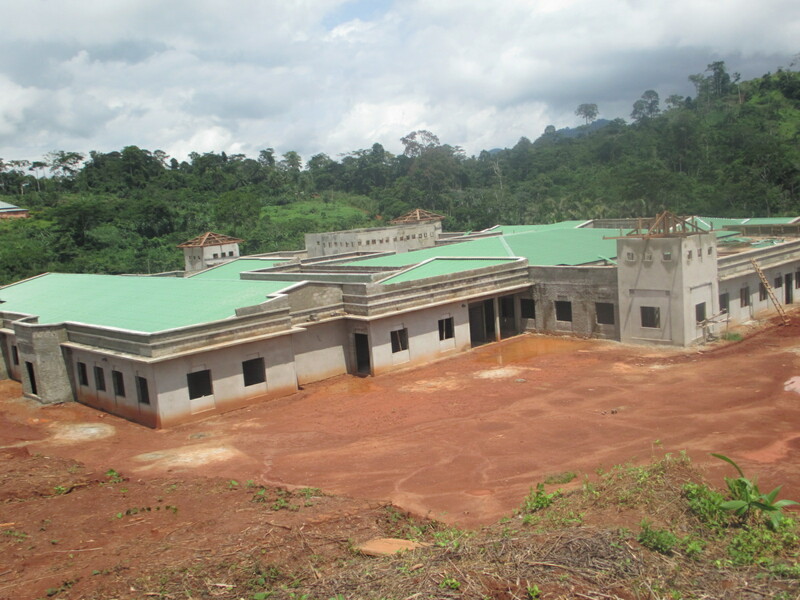 The roof of the main building of the Magrabi ICO Cameroon Eye Institute is almost complete. Construction work on the second building, an eye ward to take care of outreach patients coming for cataract surgery, treatment for diabetes and its ocular complications etc. will start this week. Both buildings have been designed to be child friendly and accessible to people living with various forms of disability. This entry was posted in Cameroon, Cameroon Eye Institute, Cataract, Children, Diabete, Diabetes, Diabetic Retinopathy, Uncategorized. Bookmark the permalink.